Awhile back I ordered the Sample Pack from Viva La Nails. It's free for any blogger or youTube artist to review - all you pay is shipping! And let me tell you, I'm impressed! First up are some of their colored water decals. These are very elegant pink flowers, with green leavs and stems. I was originally going to try these over an ivory or white, but when I tried Zoya Posh on the other day, they matched too perfectly to NOT try them on! Plus these were super easy - just cut out the design, wet the back paper with a sponge and slide the design off and stick it onto the nail! Next up are some of their black water decals. On these, any part that is not black is clear, so you can put them over any color and it will show through. I've been wanting to do a "red with black roses" mani for a while, and these were perfect for it! See how clear the designs are? I know you could probably do something like this with Konad, but I'm not very good at the stamping stuff yet, so I like this better. 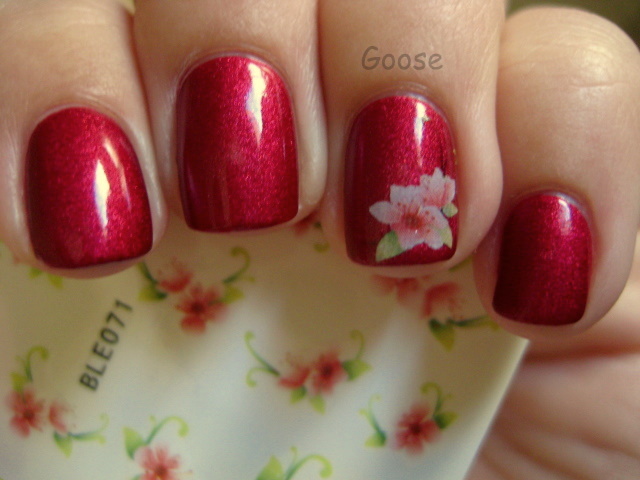 This was over Sinful Colors Ruby Ruby (which is an almsot neon red). Lastly were some of the rhinestone stickers they sent me. 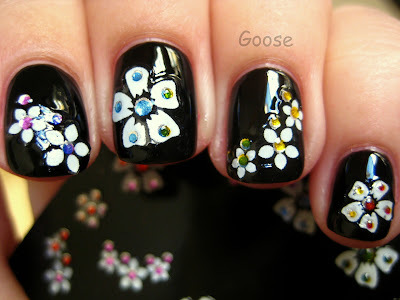 I love the look of the black with white flowers with the little colored accents! However, I didn't wait long enough for the polish to completely dry (even with SV, it was still "squishy") so the stickers ended up pulling on the polish underneath and it ended up pretty bumpy. It still looked awesome, though! Just make sure to let your polish dry COMPELTELY before pressing on the stickers. I didn't wear any of these for an extended period of time, so I can't really comment on the wear of these, but I can imagine the water decals would easily stay on just as long as a nail polish would. I think I'm definitely going to order more of these! 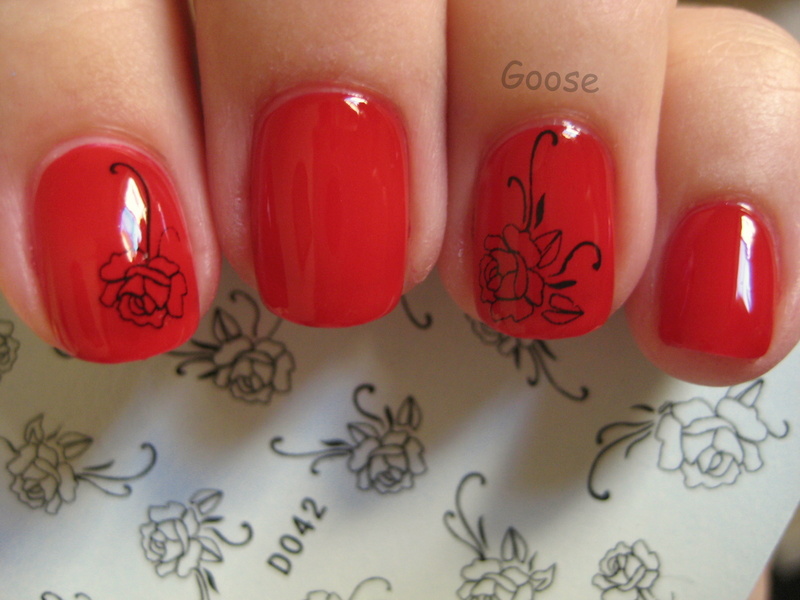 Have you tried using stickers or water decals on your nails? How do they wear? Have you ordered from Viva La Nails? If you received this award already before sorry because i did not know. How much was the shipping? I love the first color combinationof the polish and the flower!